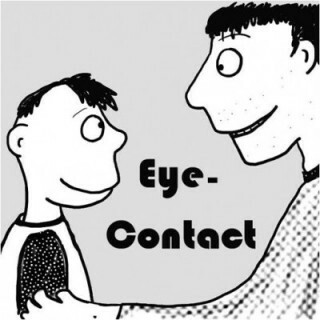 There’s a lot of information on eye-contact, the power of eye-contact. There are also a lot of stories and lore as well as there is a lot of scientific research being done. So, hard to find orientation within this thicket of information, results and (personal or stereotype) opinion. There’s a new study which shows that eye-contact is ………… less influential than we thought it would be. The result derives from a special research setting, when somebody tries to persuade another person. These two studies show that there’s no direct connection between eye-contact and persuading someone else to pick up another opinion. Or change his opinion. So, the result may be valid such a setting but in contrast to this there’s much more psychological and developmental research being done since decades of years on the power of eye-contact. So, please find your own opinion. And please be aware of the different settings or relationships you’re in regarding the power of eye-contact. I think you can agree to me suggesting that there’s a difference persuading someone while looking into each other eyes and to be in love and look into each other eyes or remembering your mother’s eyes when you were a small kid.